Eye Love Wednesday - intense eye colour with Pupa shadows and liners! That offer pure colour with a high concentration of pigments for dramatic payoff that feels ultra-light on and lasts for hours. 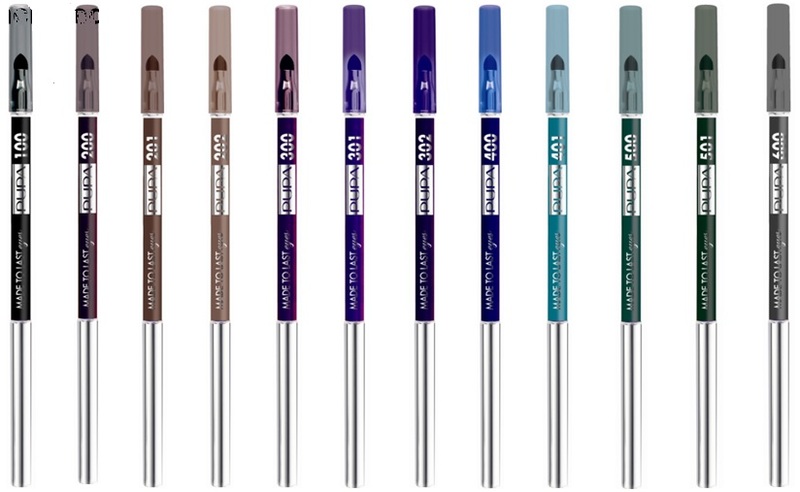 Pupa Made To Last Eyes Long Lasting Waterproof Automatic Eye Pencil - $16 - in 12 high definition colours: 100 Black, 200 Dark Brown, 201 Gold Brown, 202 Taupe, 300 Intense Purple, 301 Ultramarine Violet, 302 Dark Violet, 400 Dark Blue, 401 Turquoise, 500 Emerald, 501 Marachite and 600 Glamour Grey - intense colours that are easy to use thanks to the retractable applicator and built-in sharpener.